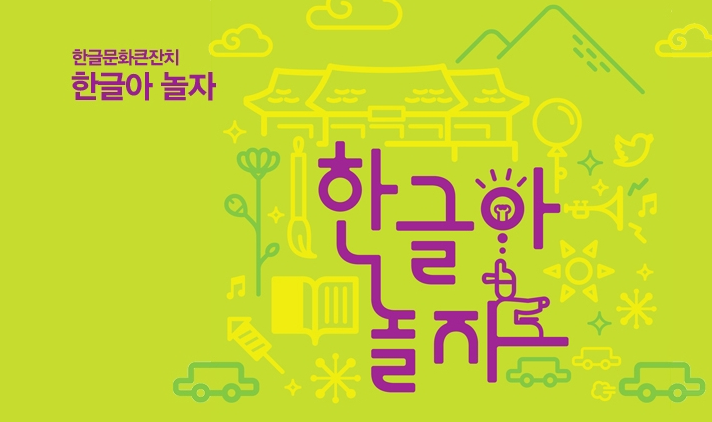 Commemoration events for Hangeul Day in Korea! October 9th was the official Hangeul Day — the Korean alphabet — in Korea, and many cultural events were held across the country. It is Hangeul’s 567th anniversary since it was created and promulgated by King Sejong in 1446. AD Flash, an advertisement committee comprised of numerous universities, successfully completed their event in Seoul. 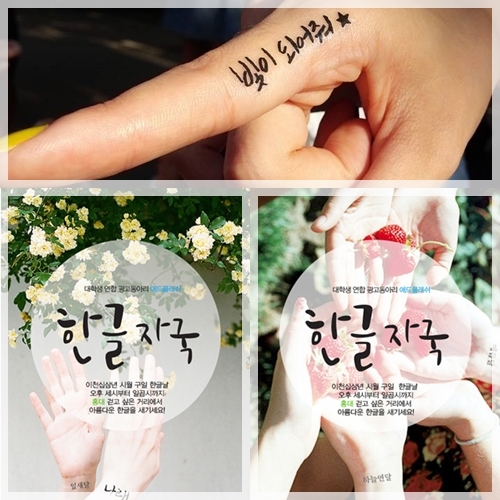 Many gathered in Hongdae, the event’s venue, and painted Hangeul henna on their body parts. The main purpose of the event was to let people know of the beauty of Hangeul. The Ministry of Culture, Sports and Tourism is also holding a festival until October 13th in Guanghwamoon. The series of events include exhibitions, performances, academic conferences and other Hangeul-related activities. Go check out the events and enjoy this meaningful Hangeul Day! This entry was posted in KASC and tagged culture, hangeul, KASC, Korea, Seoul event by ISC Admin. Bookmark the permalink.